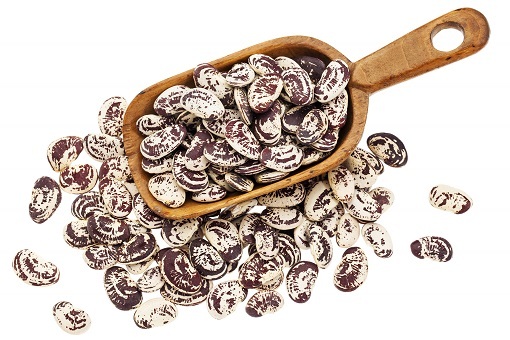 Now is the time to plant lima beans. They are easy to grow, and they provide an excellent source of many different nutrients. They are a starchy vegetable that are sometimes known as butter beans because of their smooth, buttery texture. You can buy lima beans dried or canned, but fresh lima beans are harder to come by, and therefore a great vegetable to grow in your garden. As the lima bean grows it looks a lot like a green bean, although the pods are flatter, much like a sweet pea. They ripen and are ready for harvest in the late summer and autumn. 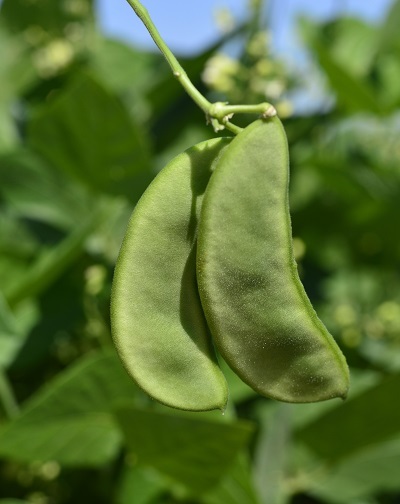 When you harvest the beans, you will need to shuck the beans out of the pods, and each pod will yield between 3 to 4 fresh lima beans. The color of the bean you may be familiar with is usually green or cream colored, but there are other colors, which include red, purple, black, brown, and white. Lima beans are one of the few vegetables that contain molybdenum about 141 mcg, which is a part of an enzyme called sulfite oxidase. Sulfites are commonly found in wine, pickles, processed meats and dried fruit. Sulfite oxidase helps to eradicate and detoxify our bodies of sulfites. A person can be sensitive to sulfites if there is not have enough sulfite oxidase enzymes in the body. As was noted earlier, this enzyme is essential for detoxifying sulfites. When sulfites are not properly broken down in the body, a person may experience rapid heart rate, headache and confusion. Lima beans would be a great addition to your vegetable garden as the bean can help control and eradicate sulfites from the body. The butter bean or lima bean is a source of minerals and B-vitamins, they help to control blood sugar levels and help to lower blood cholesterol levels. If you are vegetable gardener that is diabetic or has high cholesterol, the lima bean would be a great addition to your garden. Lima beans are a starchy vegetable, and are also a great source of soluble fiber, which as we noted helps to lower blood cholesterol, sweeping away any excess buildup of cholesterol. Because of the fiber, there is no need to worry a lot about the starch. Fibrous vegetables digest slower and do not spike blood glucose. That is why it is encouraged to eat a potato with its fibrous skin, if not the starch can cause a spike in your sugar levels. Fiber also binds with the bile acids in the duodenum. It is bile acids that process and make cholesterol. This is why it is important to consume fiber on a daily basis. Not eating enough fiber can cause your cholesterol to rise to a dangerous level. Therefore as fiber binds with the bile acids, it passes right through the digestive system without being absorbed and made into cholesterol. Lima beans are also rich in insoluble fiber, meaning that it bulks up the stool and allows for regular bowel movements and less constipation. Insoluble fiber is excellent for people who suffer with diverticulosis or irritable bowel syndrome. 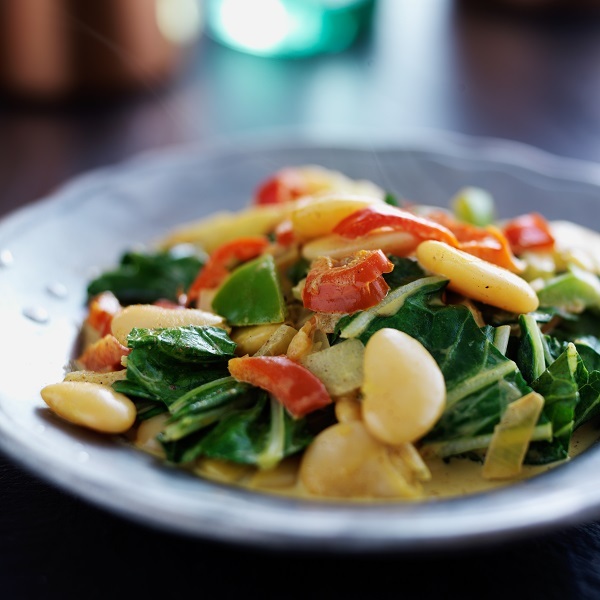 Lima beans can help reduce your risk of cardiovascular problems. Lima beans also provide a complete protein if you combine them with whole grains, such as whole grain rice. Lima beans are a type of legume and legumes have been extensively studied as sources of heart disease protection. One 25 year study involved over 16,000 male participants across the world that was at risk for heart disease. The study found that those who ate more legumes had a reduced risk of heart disease. Another 19 year study in the U.S.A involved male participants who ate high fiber foods, including lima beans. The study noted that those who ate 21 grams of fiber per day had a 12% lesser chance of coming down with heart disease when compared to people who ate less than 5 grams of fiber per day. Water-soluble fiber was determined to have the best protection against heart disease, and legumes, including lima beans alone decreased the risk of dying from heart disease by 82%. Lima beans contain high amounts of magnesium, manganese, iron, and folate per serving. The folate is a vitamin that lowers the quantity of homocysteine in the bloodstream, which is a risk factor for all forms of heart disease, including stroke, heart attack, and peripheral vascular disease. The magnesium in lima beans acts as calcium channel blockers, which lowers blood pressure and improves the flow of nutrients and oxygen within the bloodstream. A lack of magnesium in the diet can lead to heart problems and the liberation of oxygen free radicals in the body, which are dangerous to all cells of the body. You can eat them alone, salted, or incorporate them into soups and casseroles. With their buttery flavor, lima beans are a great addition to soups, stews, casseroles. Cooked, cooled lima beans are an excellent addition to green salads. 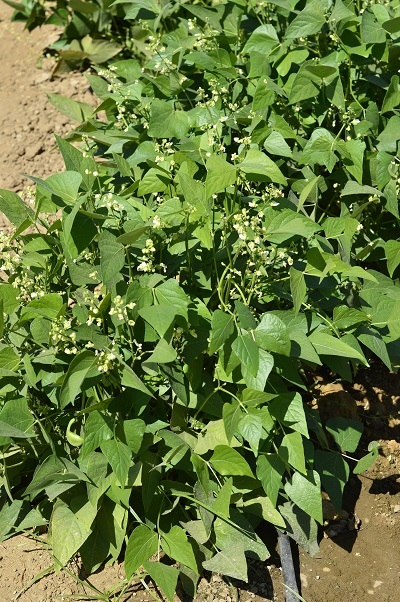 You can eat lima beans fresh in their pods in the summer, but only if you have a vegetable garden. Try this great recipe with your fresh harvested lima beans. In a medium saucepan over medium heat, combine coconut milk, peanut butter, onion, soy sauce, brown sugar, and pepper flakes. Bring to a boil, stirring frequently. Remove from heat, and keep warm. If you are allergic to peanuts, use almond butter instead. Next dice up one each of a green and red sweet pepper, and one small white onion, and set aside. Chop a bunch of your choice of chard or kale, and mix with the sweet peppers, white onion, and 16 ounces of cooked lima beans in a large bowl. Next add the warm satay sauce, mix until well coated. Plate and serve. Enjoy this recipe as a warm salad, side dish, main protein dish, and even as a vegan dish. This entry was posted in Gardening - Environment - Around the Home, Main Dish, Side Dish, Soups and Salads, Vegan and tagged Almond, almond butter, cholesterol levels, diabetes, Dietary fiber, Food, growing lima beans, Health, health benefits of lima beans, heart disease, lima bean garden, lima beans, Peanut sauce, satay peanut sauce, vegan dish, vitamins and minerals. Bookmark the permalink.